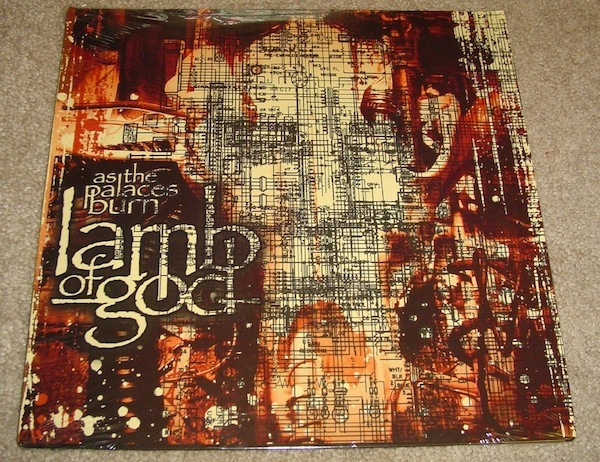 I was really excited when Lamb Of God announced they’ll be reissuing their classic 2003 album As the Palaces Burn remixed and remastered by Josh Wilbur because I always had issue with the mix. Now that I finally hear a new track, I couldn’t be more excited! Sounds like you’re listening to AM radio, doesn’t it? The new mix sounds so huge, it’s like you’re blasting Lamb of God in a giant airplane hangar. The 10th anniversary edition of As the Palaces Burn is released on November 11th via Prosthetic/Razor & Tie. It will feature three unreleased demos and a 70-minute story behind the album documentary featuring interviews with all five band members, including original album producer Devin Townsend. The CD package features updated artwork by longtime Lamb of God designer Ken Adams and a new booklet essay by former Revolver editor Tom Beajour. Pre-order it here. The Remastered Version of LAMB OF GOD’s “Purified” Sounds Huge!